'Alright, here we go! I live in Brooklyn, NY, and I'd say my collection spans the end of college to today, though it has really tapered off recently. It just seems easier to keep it digital or borrowed. Yet there's still hundreds of pounds of books to account for, somehow! Here's a few I've either pored over a bunch of times or never touched. I've made it about 50% of the way through most of the Gore Vidal books, 10% for Joyce. Sorry dudes. I really enjoy Sexus by Henry Miller, it's so cruel and self-aggrandizing and passionate. Visceral love in prose is my favorite. I'm currently making my way through James M. Cain's noir classics. I love books about the rise of musical genres, and Ellen Willis' collected pop music reviews. Uhh, these are my King's Quest games. Roberta Williams was an early hero of mine. I love the emotional journey you're taken through in her point-and-click games. It's something I've been trying to recreate through comics for years. My favorite Roberta Williams game ever is Laura Bow: The Dagger of Amon Ra, a 1920s murder mystery set in a museum. If anyone wants to sell me the box, I will put it on this shelf. Here we go, comics! Admittedly, most of the comic books I own are by my friends. These shelves have been thinned by multiple moves and NYC apartments, but I'm just not a ravenous comics collector. I do think a lot of these people are brilliant, but I might be biased if we've been drunk together. I'm very bad at collecting volumes. The rest of Scott Pilgrim is probably in my mom's garage. 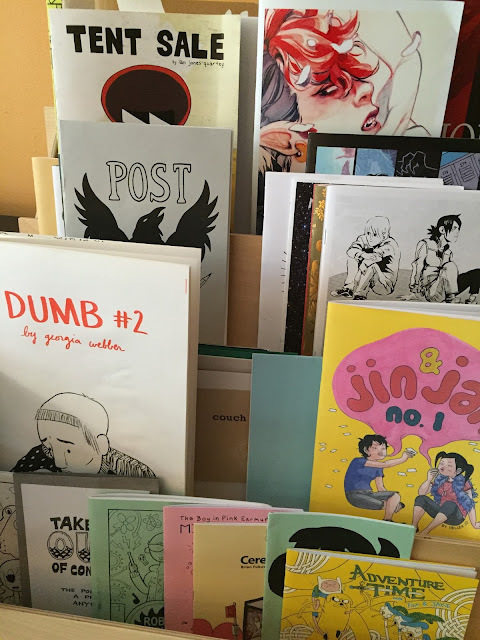 I mostly take out manga from the SVA library, where I teach. I got the Herge book in Paris as a gift for my boyfriend Mike, who I'm marrying later this year. The Paul books are his, too. We've been together two years, and a big wad of Mike's stuff is still in Canada. Our sparse shelves are a reminder that we're still transitioning to a complete home together. I'll be so glad when they're full. Martha Stewart's Homekeeping Handbook really dominates this shelf, and for good reason. It's a veritable bible of ways she'll always be better than you. But I've learned so much about keeping a clean, stress-free home from her. Essential to getting creative work done at this point in my life. 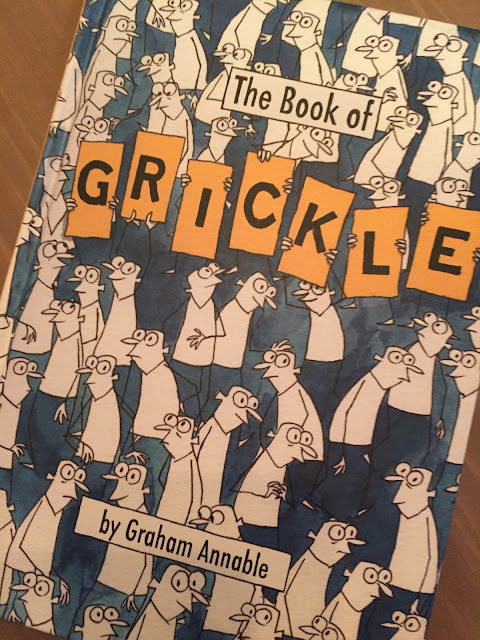 Grickle is a series I really love. A friend lent the small press version of this book to me in college, and I couldn't get enough of it. The characters are so springy and alive. The stories recreate such painful moments in life, and attempt (sometimes) to find light in them. I remember standing by and watching some boys kick a toad around this way. I think about my own cruelty and the lengths I went for acceptance. Woof! We have a little wooden stand that we use for conventions; the rest of the time, it's a display rack for our minis. These cycle in and out of the display at random. I am eternally fond of the Jin & Jam book. Hellen Jo's teen girls are perfection. All the records I've collected and whittled down over the years. I don't collect many in NYC, but I usually pick up a few on trips. Below there are some sparse shelves, waiting to be filled with Mike's stuff (perhaps some really tiny books). This shelf seems a bit outdated, with a lot of stuff I've just brainlessly kept around since college. Knitting books! Vonnegut books slightly embarrass me now! But Dylan's "Chronicles" is aces. I think I stole it from a library. Sorry. 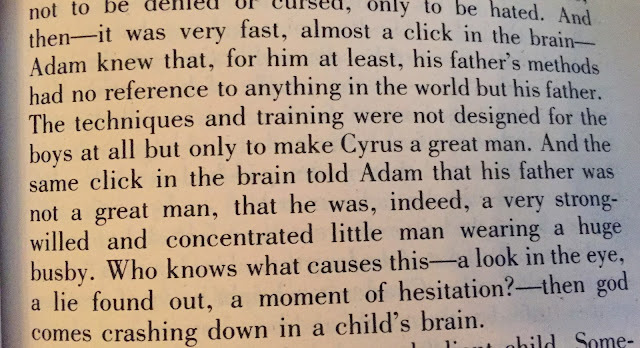 I love this little passage from East of Eden. Steinbeck's books create a total feast of the senses for me. He can paint a picture of contentedness like no one else. Before I go I'll talk about comics just a little more. I collected a bunch of these DC/Marvel romance books in the late 00's. I guess at first there was some dismissive irony to it, but now I truly admire them. These artists were at the top of their game. 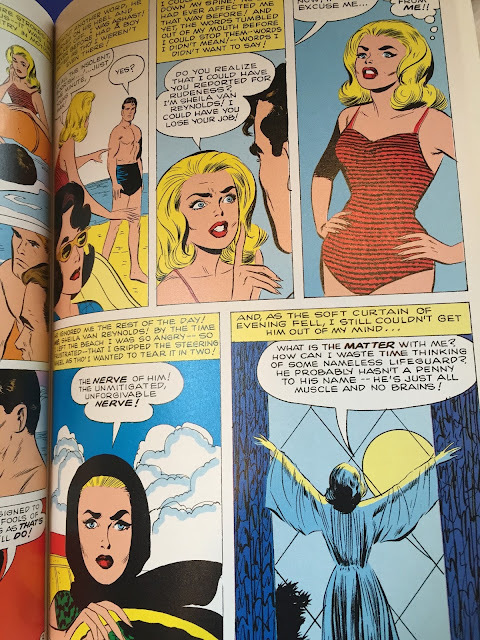 Tony Abruzzo's art conveyed teen tragedy so acutely that Roy Lichtenstein built a career on it. The particulars of teen love blur over time, but we still remember the intensity. Even from the very male prospective of these artists/writers, they often do it justice. Nothing could be so raw. I appreciate the economy of these panels. A beautiful cliffside beach under a twinkling night sky, drawn on what was no doubt a murderous deadline. There's even a couple of Jack Kirby stories in here! I love it. 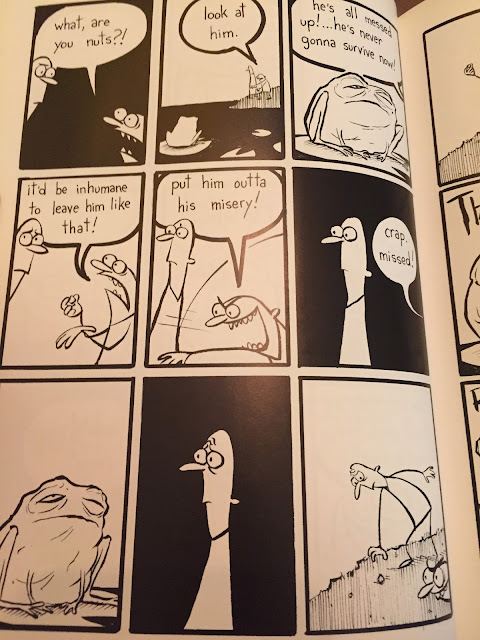 It's so rare I pick up a superhero comic, but I still appreciate his weird and wonderful drawings through these stories. 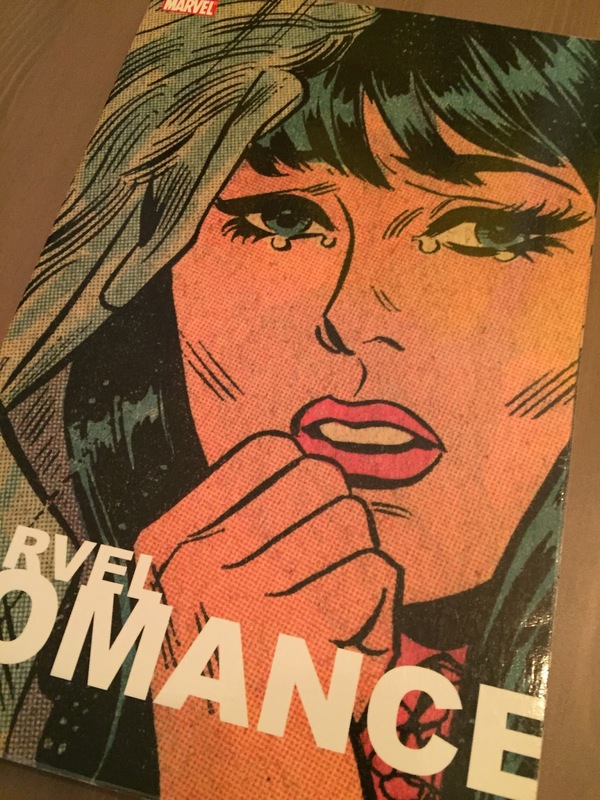 To this point my biggest body of work has been romance comics. I love to write stories of longing and heartbreak and regret. This is my world! A massive thank you to Meredith for her time and participation. You can view all the previous installments of comics shelfie here. Next installment will be up in a month.